If you kill off your animals, even if you know how it happened, always start again with fresh bedding to be on the safe side. “The dog ate them” is about the only way I didn’t kill my last batch of red wigglers. Although, considering the dog I live with, who knows? The first thing I did wrong was get them too wet. I was juicing veggies for myself, and I don’t have a very high-quality juicer so the pulp is pretty wet. They love it, it’s already bite-sized for them, so they go through it pretty quickly. I hadn’t been pulling out the worm casings (poop) very quickly, though, so it started to store the excess water instead of letting it evaporate. When the worms get too wet they drown and/or noxious gasses build up from the bacteria and they suffocate. It’s not too hard to fix, if you catch it. 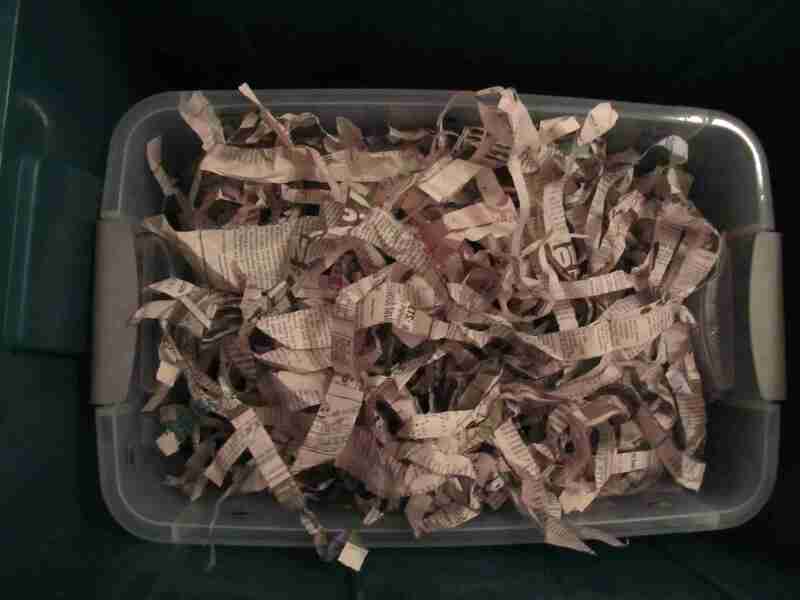 I sifted out a large portion of the casings and replaced it with dry, shredded newspapers to absorb the moisture that was left. I did lose worms to that, but they could have recovered from it. Mistake two was, again, feeding them incorrectly. Worms do not like citrus. I already knew that, but I hadn’t realized that the problem doesn’t seem to be citrus, per se, but foods high in vitamin C. I had picked some rosehips from a friend’s yard and I was working on pulling the seeds out, because the seeds are a bummer to eat. I knew that they were organically raised, so I had no qualms about chucking the seeds in with the worms. If they couldn’t eat the seeds directly, maybe they would sprout and sprouts are easily edible. I started seeing dried worms stuck to the outer box. It was confirmed later that worms actually run away from citrus (and rose hips). When their entire home is inundated with the food, the only place to run is out of the box- which kills them. 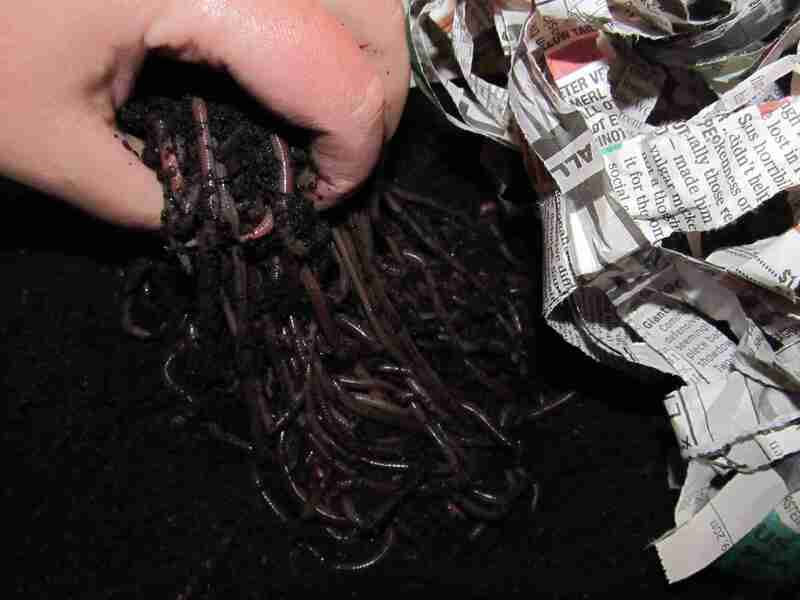 Once I eventually figured out why the worms were running away, I sifted through everything and pulled out the survivors. They consisted of about five adults and a couple of dozen babies. Rebuilding up to a decent number of worms would probably require just buying new ones, but the survivors would bolster the new batch. Unfortunately, five worms don’t eat enough to be fed on a regular basis, so they sort of got forgotten about and dried up. R.I.P, Worms. You taught me valuable lessons. With a freshly emptied, and cleaned, worm box, I took myself down to the Rocky Mountain Worm Company again for a new batch. They don’t keep red wigglers for sale over the winter. However, they do sell African nightcrawlers all year. For the same price, I thought it might be worth a try. Particularly since red wigglers eat half their bodyweight per day, and African nightcrawlers can eat up to one-and-a-half times their bodyweight per day. I’m doing my vermiculture inside, so being able to process more food through the same volume of worms is a perk. African nightcrawlers are significantly larger, you only get a few hundred per pound rather than around 1,000, and they don’t reproduce as quickly, but neither of those facts really bothered me. The one other major difference is that the casings from the African nightcrawlers are quite a bit bigger than the ones for the red wigglers. I had been sifting the casings out of the bedding and food using a kitchen sieve. It was very slow, but it worked. It’s not going to work for these guys. The folks I bought the worms from let me know that 1/4-inch hardware cloth would pull most of the adult worms out, and that 1/8-inch would sift out pretty much anything but the casings. I am thinking about making two sifters if my worm operation gets bigger, but for now I’m going to be making one with 1/8-inch screening so I can keep them cleaned out. I will keep you updated on how the sifter(s) come along. So far, the new batch of worms seem to be doing just fine. They’re a little strange to stick my hands in, since they’re quite a bit bigger than the other ones, but that’s not such a big deal. I had been thinking that they were eating slowly, due to finding leftovers, but I recently noticed that they seem to have eaten the bulk of the newspaper bedding. I think I need to feed them more often, and make sure that the bits are smaller, since the leftovers tended to be big for little worm mouths. I have been meaning to start juicing more often. I just have to watch the bin carefully.